Ashok Biradar obtained a B.Com. from Bangalore University. He currently coordinates administrations and the work of developing the new campus. 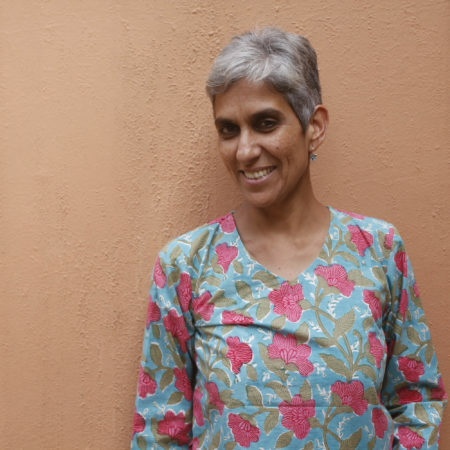 Diba Siddiqi has studied Anthropology and Public Health. At CFL, she works in middle school social science, art, photography and in the vegetable garden. 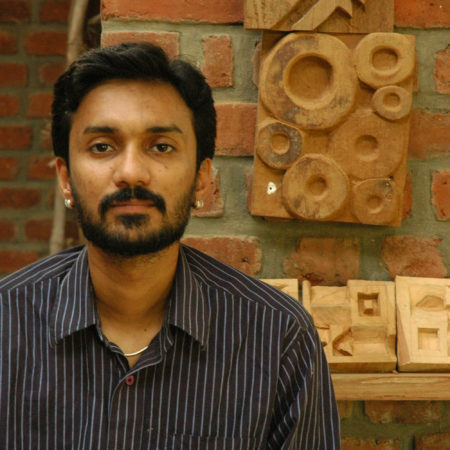 Gururaj Choudhari has a Bachelor’s degree in Mechanical engineering from BITS, Pilani. 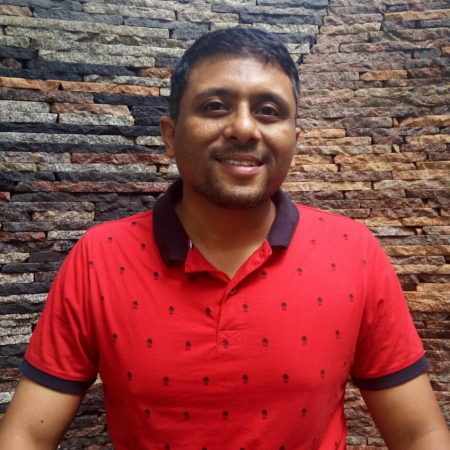 He has worked for 18 years in the corporate sector designing and developing software applications for earth sciences domain. He is interested in teaching history and sciences to middle schoolers. He is also enthusiastic about the impact of new and upcoming technologies on learning. 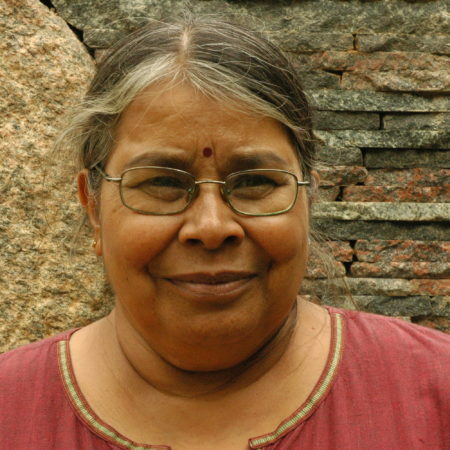 Kamala Mukunda completed her Ph.D. in educational psychology from Syracuse University and has taught at the undergraduate level for four years. At CFL, she teaches psychology and statistics and is also involved with a range of activities with the juniors and middle schoolers. 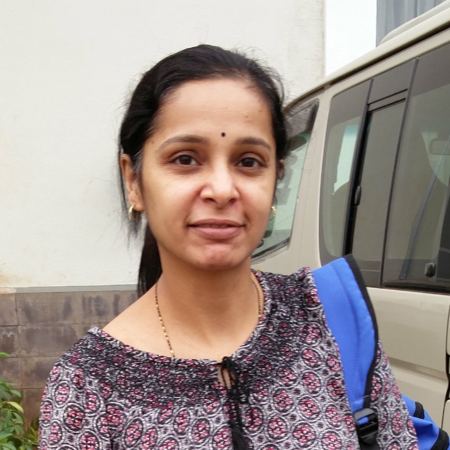 Kavya A Biradar has a bachelor’s degree in education from IGNOU, and an MA from Dharwad University. She teaches languages at CFL. She is interested in the literatures of various languages. 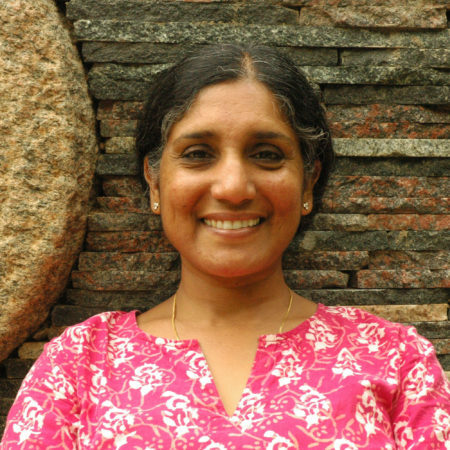 Keerthi Mukunda received her Masters in education from the University of Massachusetts and taught for a few years in a public school in Amherst before joining CFL. She has a particular interest in teaching and developing curricula in the areas of English and social studies. 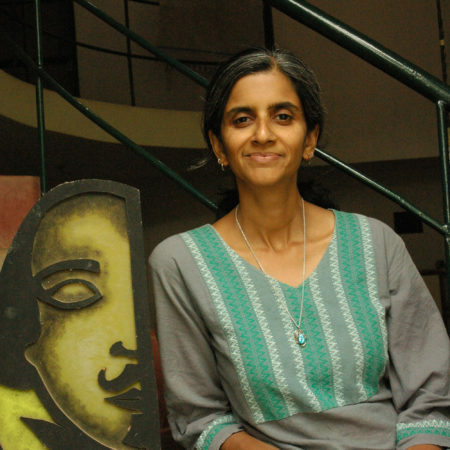 Krishna H has a master’s degree in Psychology and a PG Diploma in Culture Studies. After working in the field of mental health for three years, he has been teaching psychology to high school students. At CFL, he teaches psychology and English as well as theatre and woodwork. Leela Garady was one of the founding members of CFL and a deeply inspiring presence. She developed many new and creative ways of teaching language to children. 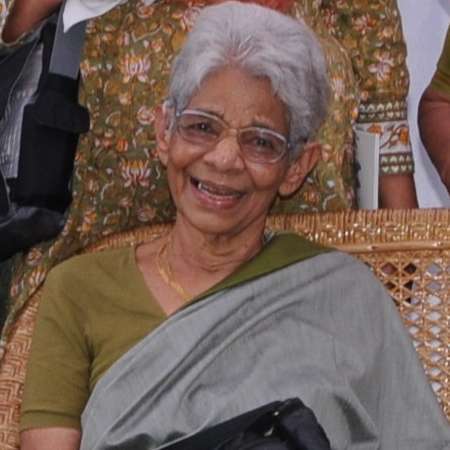 She actively wrote and directed plays in Kannada and Hindi for the students at CFL over the years. Many of her works remain an integral part of the languages curriculum in the school. Leela passed away peacefully in December 2016. Her insight and knowledge will be missed by all of us. To read more about her click here. 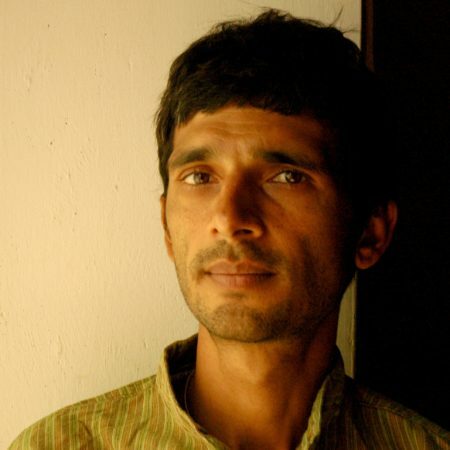 Nagini Prasad worked in the corporate and non profit sectors before teaching at various unconventional schools. At CFL, she works primarily with the junior and middle school children. Navneeth has a degree in Molecular Biotechnology from Rutgers University, New Jersey. Prior to coming to CfL, he worked in a small educational NGO focusing on ‘school improvement.’ He is primarily interested in working with students of the middle school (grades 5-8) in the area of mathematics, science and social science. 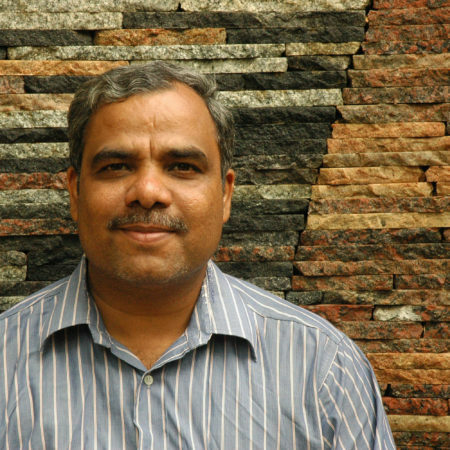 Prabhat Jain has a diploma in education from Ben-Gurion University, Israel, and M. Tech. in Communication Engineering from IIT Kanpur. After working for six years as a software developer, he moved to the field of education. At CFL, he teaches middle and high school children physics and mathematics. He enjoys taking long walks, cycling and dialogues. 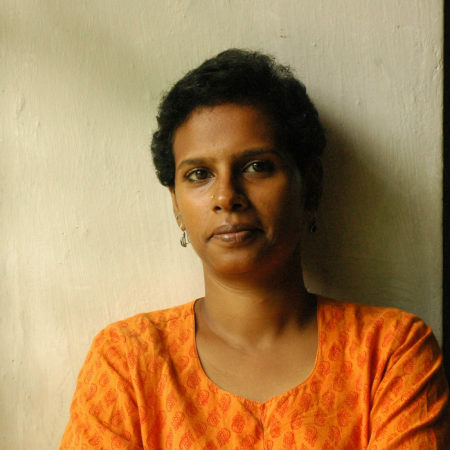 Radhika Neelakantan studied biology for her degree. 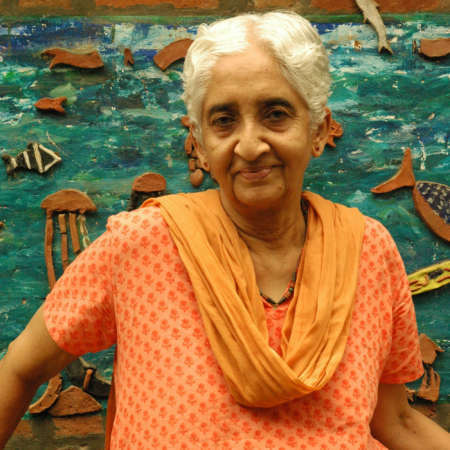 She taught at The Blue Mountain School, Ooty, before coming to CFL, where she teaches art and biology. 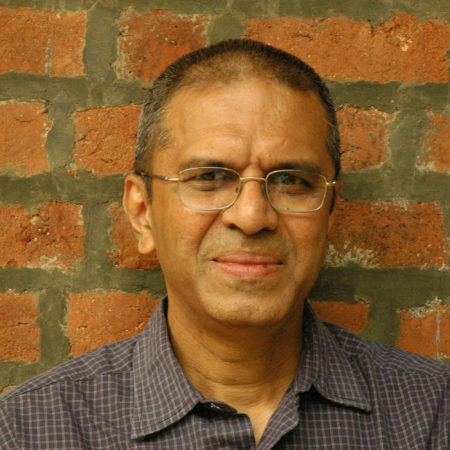 Richard Fernandes has an M.Sc. in Physics from the Indian Institute of Technology, Kharagpur and a Ph.D. from the Raman Research Institute, Bangalore. 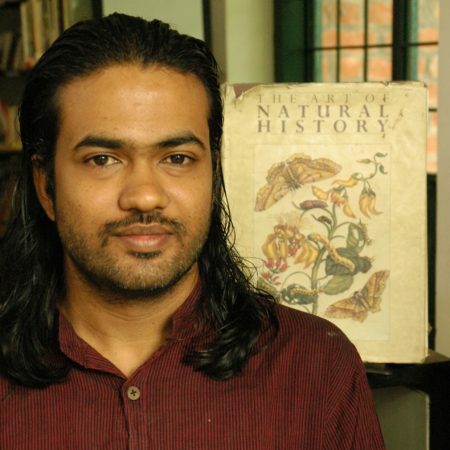 He was a research associate at the University of Louisville and later worked at the Indian Institute of Science, Bangalore. 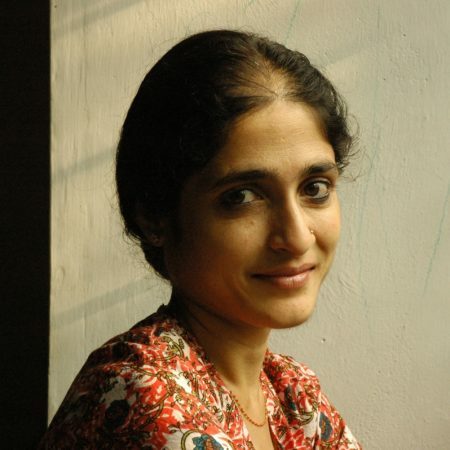 Rupa Suresh has a masters degree in human resource and is trained in the Montessori method of teaching young children. She teaches English, mathematics and craft in the junior and middle school. 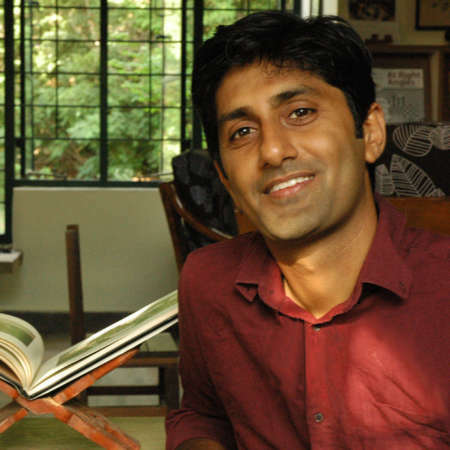 Sachin Mishra has a Masters in Energy Engineering. Prior to joining CFL, he has taught engineering. He is involved in teaching sciences at the middle and high school level. He is interested in travelling, natural farming and frisbee. 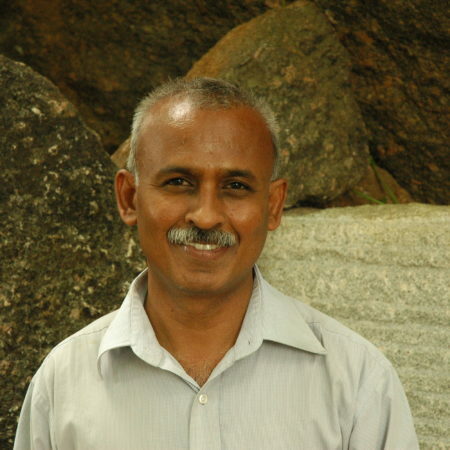 Sandilya Theuerkauf After completing his senior school in CFL, he lived for many years at the Gurukula Botanical Sanctuary in Wayanad, Kerala. He worked there supporting the sanctuary’s work in the area of conservation and education. At CFL, he works with engaging the students in managing the land, nature observation, vegetable gardening and woodwork. 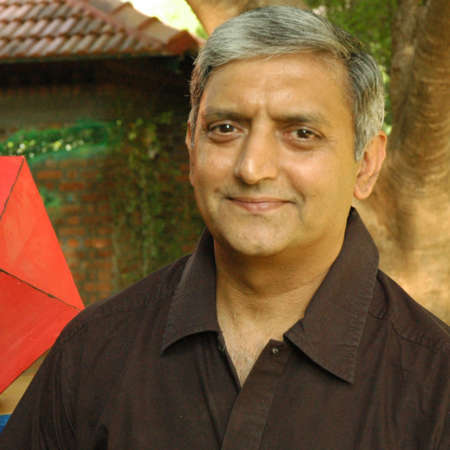 Shashidhar Jagadeeshan has a Ph.D. in mathematics from Syracuse University. 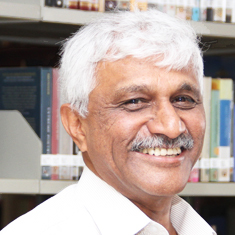 He has taught mathematics to students from middle school to undergraduate level. Sruti Yusufi has a bachelor degree in Geography. She does craft and claywork with students across all age groups, and project work with the middle schoolers. She manages the work of the kitchen and is interested in vegetable gardening, baking and stitching. 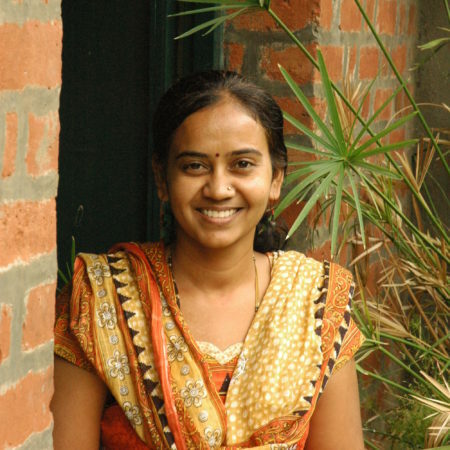 Thejaswi Shivanand was educated at the University of Mysore and National Centre for Biological Sciences (TIFR). At CFL, he teaches biology, statistics and environmental science to older students and enjoys long walks with the younger ones. 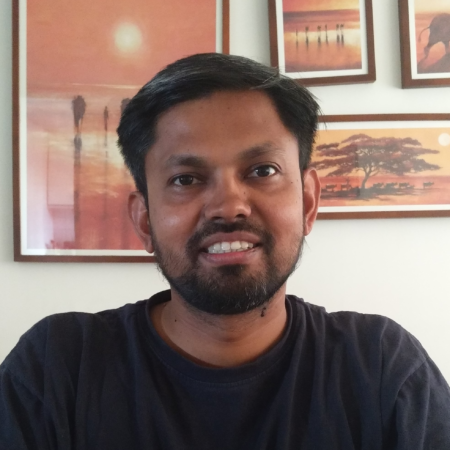 After working with a design engineer for a few years in a small scale industrial unit in Bengaluru, Therlingappa moved on to work with an NGO. His work at this organisation involved improving the livelihoods of landless farmer communities through sustainable agricultural practices. At CFL, he handles the administration work of the office. He is interested in watching films, plays, reading books on developmental issues, traveling and establishing public relations. 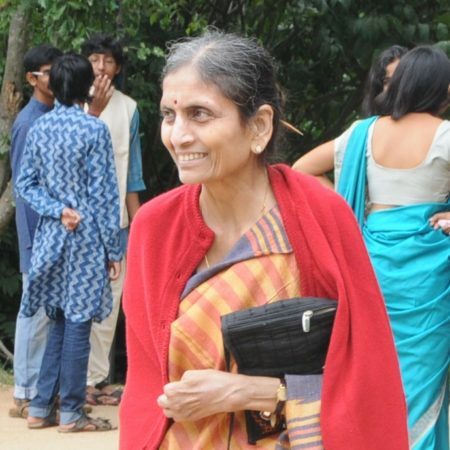 Usha Krishnamoorthy has an undergraduate degree in Statistics from Lady Shri Ram college, Delhi University and a Master’s in Business Administration in finance and marketing from IMI, New Delhi. She has worked for 18 years in the hydrocarbon exploration sector in the fields of data management, software engineering & marketing. She is interested in the area of mathematics and exploring the use of technology in developing logical reasoning and analytical skills. 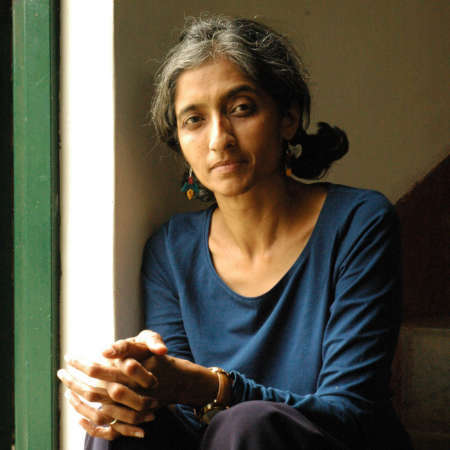 Usha Mukunda studied English literature in Calcutta and later took a post graduate degree in Library Science from the Bangalore University. She is deeply interested in nurturing discerning readers and users of the library, not only at CFL but in all places where children abide. 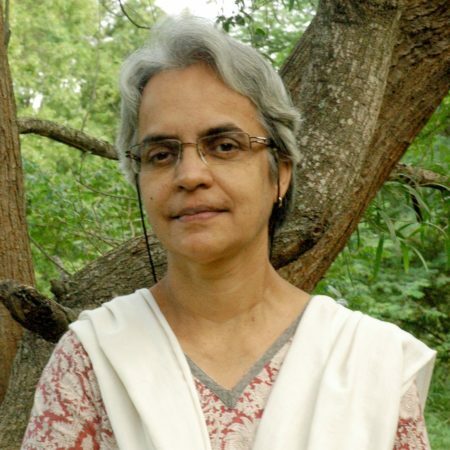 Valli Seshan has spent a large part of her working life with non governmental organisations engaged in development work. She has worked for Action Aid, helped start SEARCH and coordinated the International Resource Centre of Service Civil International. Vandana Srivastava worked in the private sector for a few years after completing the MBA program at the Asian Institute of Management, Manila. She worked in the junior and middle school at CFL for several years. 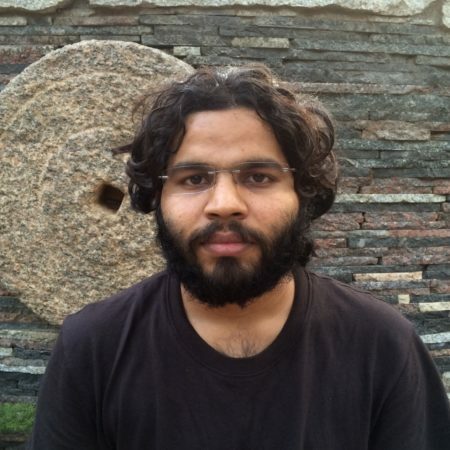 Venkatesh Onkar completed his A levels at CFL and went on to obtain a BA in Literature from the University of London and an MA from Fordham University, New York. He teaches English literature, sociology and history at CFL. 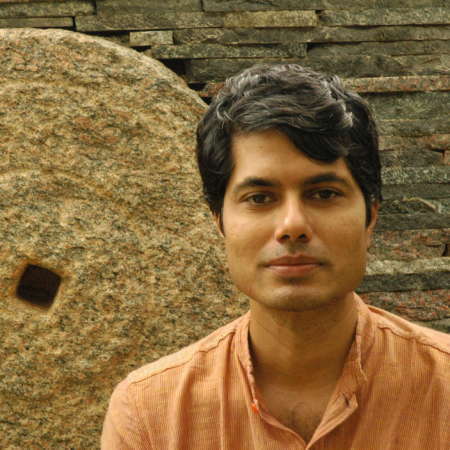 Venu N has degrees in Engineering from the University of Madras and Management from the Indian Institute of Management, Calcutta. He worked for many years in the private business sector. 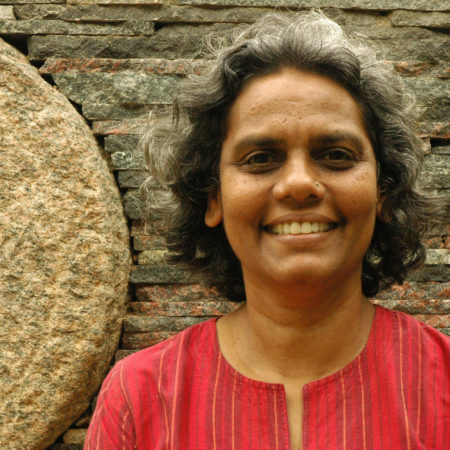 Yashodara has taught English as a second language, created site-specific environment education materials, conducted hands-on workshops and run a bookstore. At CFL, she engages with children of all ages in the library, teaches Hindi to middle schoolers, enjoys doing craft, story-telling and interacting with the Varadenahalli village children. Yasmin Jayathirtha has an M.Sc. from I.I.T., Bombay and a Ph.D. in chemistry from the Indian Institute of Science, Bangalore. 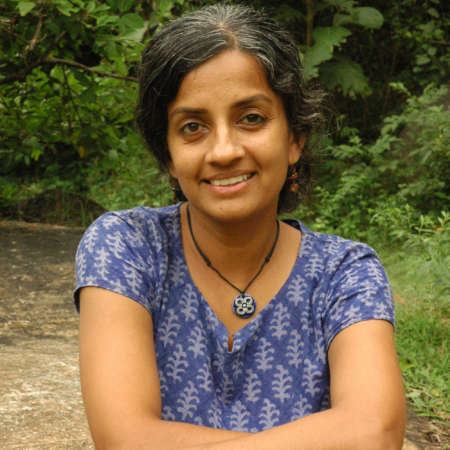 She did post doctoral work at the University of Louisville and the Indian Institute of Science, Bangalore.